Carr, a UCSC professor of ecology and evolutionary biology, studies coastal marine ecosystems with a focus on their fish populations. His ecological research informs a variety of marine conservation and management topics, including ecosystem-based fisheries management, the design and evaluation of marine protected areas, and management of kelp forest ecosystems. Carr has been involved in the implementation and monitoring of an unprecedented network of marine protected areas along the California coast under the state’s Marine Life Protection Act. 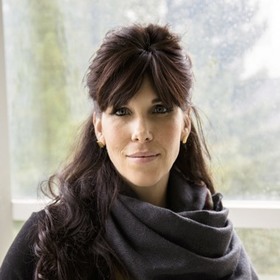 Together with Raimondi (below), Carr is among the leaders of an extensive long-term monitoring study of nearshore ecosystems on the West Coast, the Partnership for Interdisciplinary Studies of Coastal Oceans (PISCO). 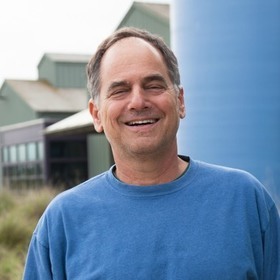 Raimondi, professor and chair of ecology and evolutionary biology at UC Santa Cruz, is a leading authority on coastal ecosystems and marine invertebrates. 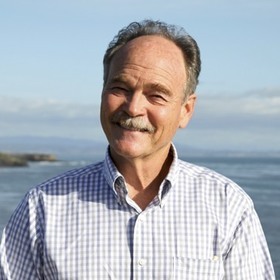 Since 1991, he has overseen surveys of intertidal life along the west coast of North America that now range from Baja California to Alaska and are supported by large multi-institutional, interdisciplinary programs that he helped develop and launch. In recent years, he has been at the forefront of research on sea star wasting syndrome, a mysterious disease that has decimated West Coast sea star populations. Raimondi also serves on several state and federal advisory panels providing scientific input on coastal and marine policy issues. Kudela, the Lynn Professor of Ocean Health at UC Santa Cruz, studies the growth and distribution of phytoplankton in the ocean, with much of his research focusing on harmful algal blooms. He leads a large project funded by NOAA to understand the conditions leading to blooms of toxic algae along the California coast, and his lab has developed predictive models to forecast where and when blooms of toxic algae will occur. Kudela also works closely with the California Department of Public Health to develop better monitoring tools for harmful algal blooms. He has played a leading role in investigating the unprecedented bloom of toxic algae that occurred along the West Coast in 2015. Marinovic, a research biologist at UCSC’s Institute of Marine Sciences, studies zooplankton ecology and the dynamics of ocean food webs. Since 1997, he has been conducting surveys in Monterey Bay to understand what determines the distribution, abundance, and species composition of krill, tiny shrimp-like invertebrates that are a crucial link in the bay’s food web. Krill are an important food source for many species of fish and seabirds, as well as for the bay’s largest visitors, the majestic blue, fin, and humpback whales. Marinovic’s research has led to a better understanding of what makes Monterey Bay such a productive and biologically rich ecosystem. Kroeker, a UCSC assistant professor of ecology and evolutionary biology, is interested in how marine ecosystems will respond to rapidly accelerating changes in the environment. One focus of her research is ocean acidification and its effects on marine organisms and ecosystems. Since most ecosystems are subjected to numerous stresses, from climate change to invasive species, she is also developing a framework for understanding and predicting the combined effects of environmental changes on complex ecosystems. Kroeker is currently focusing on studies of kelp forest communities across their entire range, from Alaska to Baja California. 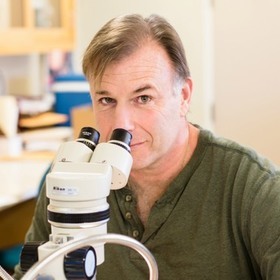 Anderson, an ocean sciences researcher at the Institute of Marine Sciences, collaborates with Kudela to investigate the diatom Pseudo-nitzschia and the neurotoxin it produces, domoic acid. 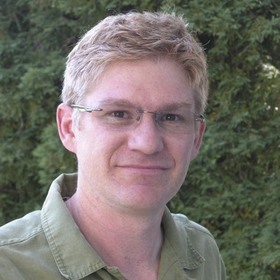 Anderson has led the development of forecasting models to predict when and where blooms of the toxic algae will occur. She is interested more generally in applying marine science to protect ecosystem health and understand the future of coastal ocean ecology in a changing world. She began studying Pseudo-nitzschia during graduate school at UC Santa Barbara, and after earning her Ph.D. in marine science she joined Kudela’s lab at UC Santa Cruz in 2008 as a postdoctoral researcher. She is now an IMS assistant researcher and a lecturer in the Department of Ocean Sciences.